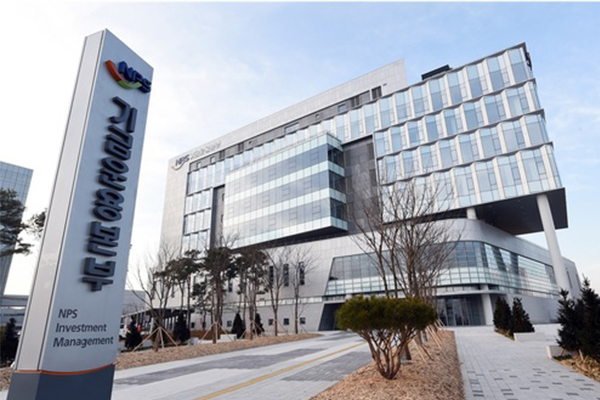 South Korea’s National Pension Service (NPS) reported a 4 percent return as of late February thanks to the recent rebound in local and global stock markets, rapidly reclaiming its first loss in a decade last year. Kim Sung-joo, the chief of the country’s largest institutional investor, posted a Facebook message on Wednesday saying the fund’s return on investment neared 4 percent in late February, amounting to gains of 27 trillion won ($23.8 billion). This was helped by an 8 percent jump in stock equities at home and abroad during the two-month period. The world’s third-largest pension fund with 639 trillion won in assets under management incurred losses for the first time last year since the global financial crisis in 2008. Its investment yield stood at minus 0.92 percent, resulting in a loss of 5.9 trillion won. But in just two months, it delivered a profit of 27 trillion won, upping its net assets by 21 trillion won. Kim blamed last year’s weak stock market for the fund’s unusually poor results. Domestic shares tumbled 17 percent and global shares 9.2 percent in 2018. As a result, the NPS saw a 16 percent and 6 percent loss in its local and global portfolio, respectively. It was able to fend off bigger losses, Kim added, thanks to the 4.85 percent return in local bonds, 4.21 percent return in overseas bonds and 11.8 percent gain in alternative investments. Kim pointed out that Korea had fared better compared to other pension funds last year. Japan’s Government Pension Investment Fund, the world’s largest pension fund with 1,500 trillion won in assets under management, lost 7.7 percent last year. The Netherlands’ ABP also saw a return of minus 2.3 percent and the California Public Employees’ Retirement System, the largest pension in the U.S., minus 3.5 percent.